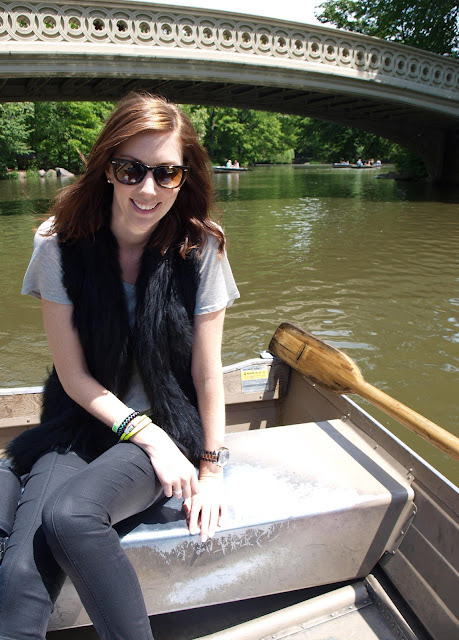 Another beautiful sunny day we had in NY we walked through central park, no bikes this time but there were boats! After walking the mall which features in many famous movie scenes we then had lunch at the boathouse and rowed around the lake, it was so much fun! 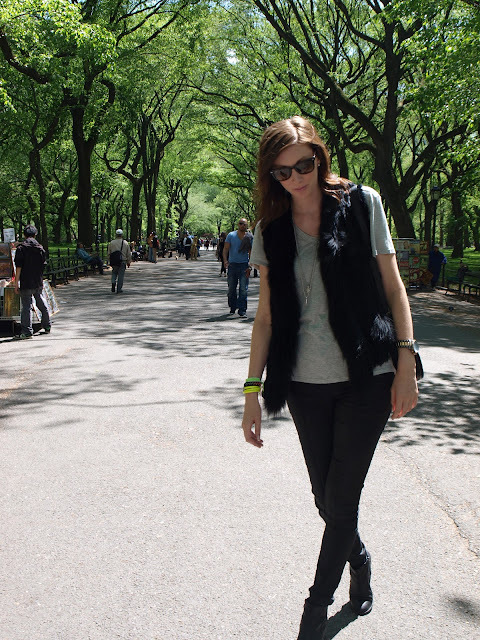 I wore basic black and grey, I love the wet look of these jeans and this fur vest is great as an extra layer in winter or summer. Of course I’m wearing multiple bracelets again, this time I used them to add some colour to the outfit.